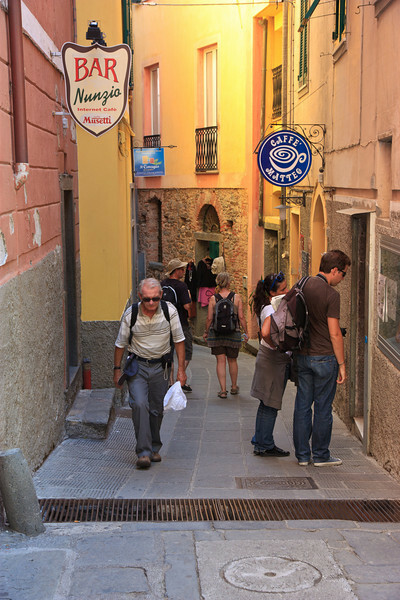 Corniglia is even smaller than Manarola, and the streets are lined with cafes and shops . . .